Ian Buruma is a familiar name to those with an interest in Japanese history and culture, having penned such books as A Japanese Mirror: Heroes and Villains of Japanese Culture (known in the US as Behind the Mask: On Sexual Demons, Sacred Mothers, Transvestites, Gangsters, Drifters, and Other Japanese Cultural Heroes), The Wages of Guilt: Memories of War in Germany and in Japan and Inventing Japan: From Empire to Economic Miracle 1853-1964. In recent years, the Anglo-Dutch writer has spread his focus to other areas, in books such as Occidentalism: The West in the Eyes of Its Enemies and Murder in Amsterdam: The Death of Theo Van Gogh and the Limits of Tolerance, as well as making regular print appearances in New York Review of Books and The Guardian. His recent novel The China Lover sees him turning his attention back to Japan, focusing on the intriguing figure of the actress Yoshiko Yamaguchi, whose career spans some of the most turbulent decades in Asian history. Not long after the Japanese established the puppet state of Manchuria in mainland China in 1932, it set up the Manchuria Film Association studios, or Man'ei, to win over the hearts and minds of the local population. The studio's first and only major star was a 16-year-old actress billed as Li Xiang Lan (pronounced Ri Koran in Japanese). Promoted as a genuine Chinese girl sympathetic to Imperial Japan, and an ambassador of goodwill between Japan and Manchuria, her roles in romantic musicals like Song of the White Orchid (1939) and China Nights (1940), in which she typically played a young local girl who falls in love with a Japanese military captain, launched a short-lived 'China Boom' in wartime Japan, and songs from her films were enormous hits. A live appearance in the largest theatre in Tokyo in 1941 triggered the Japan's only riot during the war, when thousands found themselves unable to get into the theatre, although the incident was hushed up in the nation's media. Following the war, she appeared in Akira Kurosawa's Scandal (Shubun, 1950) and in Hollywood titles like King Vidor's Japanese War Bride (1952) and Samuel Fuller's House of Bamboo (1955) under the name of Shirley Yamaguchi. She retired from the screen in the late 1950s to embark on a journalistic career and then a political one. 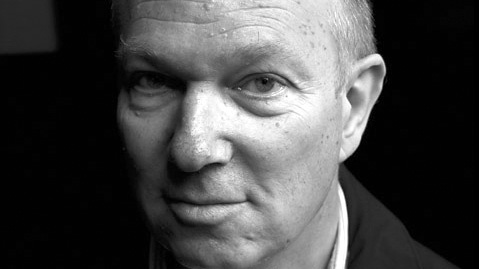 Ian Buruma kindly spoke to Midnight Eye about the real person behind his novel, which revolves around these three distinct periods of her life. The most immediate question that springs to mind is why choose Yoshiko Yamaguchi as your subject matter, and why do you think she is of particular interest now? She has been of interest to me for many years, ever since I saw a wartime movie in which she played a Chinese girl in Shanghai who fell in love with a Japanese sea captain. Here was an actress playing a double role: in the movie and in life - a Japanese woman posing as a Chinese movie star. It raised all kinds of cultural, political, social, and artistic issues that fascinated me. I was particularly interested by your description of Manchuria, or rather Manchukuo, in the 1930s, as "a cosmopolitan empire, where all races mixed and were treated equally. Each of the five main races, Japanese, Manchu, Chinese, Korean, and Mongolian, had its own colour on the national flag... Then there were Russians, in Harbin, Dairen, and Mukden, and Jews, as well as other foreigners from all corners of the world." This is not an image that might immediately spring to mind when one thinks of this part of Asia, particularly the Jewish presence, which is not often mentioned. Can you explain a little more about how you conjured up this vivid portrait of the area during the period? The idea of racial harmony was part of Japanese propaganda, not a reflection of reality. But the Japanese wanted to project this notion of Asian unity as a contrast to the racialism of Western colonialism. The position of the Jews in Manchuria was complicated. The biggest Jew-baiters were not Japanese, but White Russians, who had fled from the Russian Revolution. The Japanese, partly because they genuinely believed anti-semitic theories about Jews dominating the world, wanted to keep Jews on their side, and thus gave them some protection. Did you have a chance to go to Manchuria before or during the writing of the book, and if so, how does it compare now with your description from the pre-War period.? I have been there three times. Much of the architecture of the Japanese period is still there. Indeed, the pompous style fits rather well with Chinese Communist taste. Even though the Soviet troops, who invaded in 1945, looted much of the industrial machinery left behind by the Japanese, the infrastructure remained, and the Northeast, as it is now called, was the industrial powerhouse of China in the 1950s and 1960s. It is now a rustbelt. The book is laid out in three sections, each populated by various characters who either existed or are composites of people who did exist. Seeing as Yamaguchi herself is obviously mentioned by her real name, as are several other characters like the prime minister during the Anpo protests, Nobusuke Kishi, I was wondering why this isn't the case for others. For example, Sid Vanoven is clearly modelled on Donald Richie; Keizo Kawamura is Nagamasa Kawakita; Mr Nagai is the former Daiei president Masaichi Nagata; and the narrator of the final section seems closely modelled on Masao Adachi, although of course Adachi was not involved in the Lydda Airport Massacre. It's a bit like you're laying down a challenge to the reader, to guess who the real person is. Can you explain this approach? Yamaguchi and Kishi are not just loosely based on characters; much of what I write about them is true. The other characters bear some resemblance to real people, but no more than that. I can hardly put a real name to a character, who in most respects is entirely imaginary. By the way, I had not thought of Masaichi Nagata. Nagai is a generic studio boss. Was Daisuke Sato, narrator of the first section, based on a real character or is he a composite? He is a composite of the typical "Manchu ronin", the type of adventurer, who profited from Japanese imperialism to have an interesting time, but at the same time sympathized with many of its ideals. There was a man named Yamaga, who helped to make Yamaguchi into a movie star, and who is in some respects like the person described in the novel, but the portrait is not meant to be accurate. Was Donald Richie ever a close friend and confidante of Yoshiko Yamaguchi? No, he wasn't. In fact, he barely knew her at all. Vanoven is not a portrait of Donald Richie. I merely borrowed some aspects of Donald's life. For the most part, Yoshiko Yamaguchi is portrayed through other people's eyes, as a mysterious, ethereal figure, an image of whatever people projected upon her at different periods in her life. However, in certain instances, motivations are ascribed to her actions through her dialogue. For example, on page 194 when she talks about moving to work in America to atone for her role in pro-Japanese propaganda at the Man'ei studios. I know you met and interviewed her on several occasions while researching this book. To what extent have you remained true to her account of things, and to what extent have you been influenced by other accounts of her life? I have stuck quite closely to her own account. The question is not whether what she claims is true or not. I wanted to describe her justifications to get at her psychology, or her illusions, if you like. Motivations ascribed to her by others say more about those others, as fictional characters of course, than about her, in real life, or in the novel. At Frankfurt's Nippon Connection Film Festival in 2007, professor Inuhiko Yomota of Meiji Gakuin University gave a very interesting talk contrasting Yoshiko Yamaguchi's career, as Ri Koran, Yoshiko Yamaguchi and later Shirley Yamaguchi, with that of Setsuko Hara, who also appeared in war propaganda films, including a role as a Chinese girl who falls in love with a Japanese soldier, though is better known for her "eternal virgin" roles in Yasujiro Ozu's films. Yomota described Yamaguchi as "the colonised woman", an actress whose image was continuously appropriated for propaganda purposes, either by the Japanese wartime regime, or later in American films such as King Vidor's Japanese War Bride (1952) or Sam Fuller's House of Bamboo (1955). Do you have any thoughts on this? I don't know about colonized. Hara, too, acted in propaganda films. It is true, though, that Japanese filmmakers and audiences, and later Americans, projected their fantasies onto Yamaguchi. Japanese saw her as an exotic "Oriental" figure, not as a Japanese. The Americans did too, but to them the Japanese were themselves exotic "Orientals." I wasn't aware of Yamaguchi's forays into television journalism. Can you tell me a bit more about this, and also her subsequent political career? The novel sticks quite closely to the facts of her career. She did host an afternoon TV show for housewives on current affairs. And she did interview Third World leaders for this show, including Kim Il Song and Idi Amin. Her political career began after the "oil shock" in 1973, when Arab oil producers punished Israeli allies in the Yom Kippur War by withholding oil supplies. The Japanese government wanted to patch things up with the Arabs, in particular, and Third World countries in general, and picked Yamaguchi as the perfect "celebrity" candidate to deal with difficult non-Western foreigners. It seems that following her fall from grace after the war, Yamaguchi's subsequent actions were very much trying to reingratiate herself with the cinema-going public, an actress's desire to be loved. Did she ever redeem herself for her role in Japanese propaganda in the Japanese public's eye, do you think? Oh, yes. The Japanese public never minded in the first place. If anything, there is some nostalgia for Manchukuo, if not for the war in China. Her life story has been celebrated in manga, a musical, TV soaps, and many publications, as a romantic fairy tale with tragic overtones. What would a Japanese fairy tale be without an element of tragedy? It struck me that there's a remarkable film to be made of this story. Has anyone approached you about the film rights yet?